Help Center2. Help2.2 GlossaryWhat is a GML file? 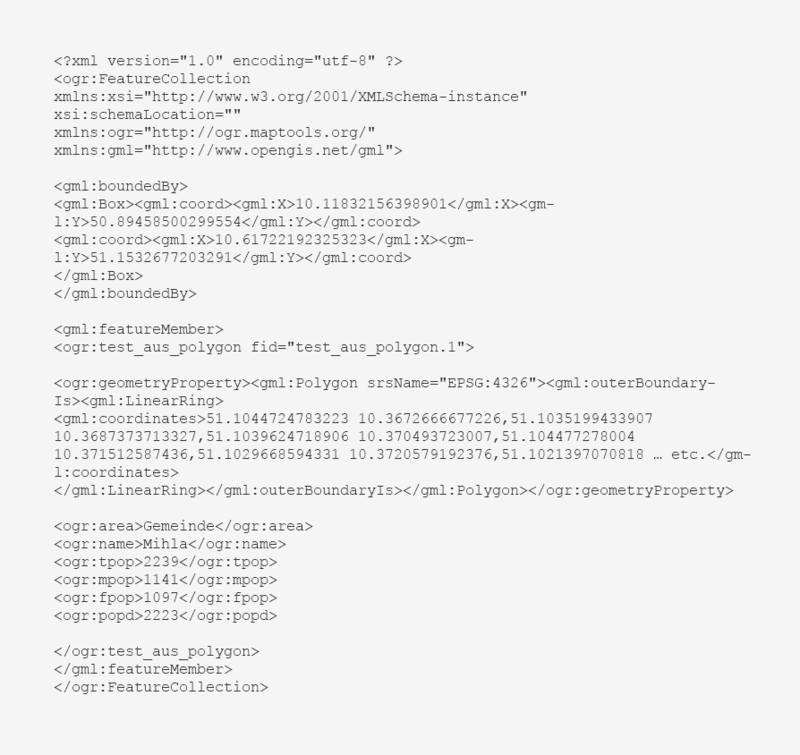 A GML file format, also known as a Geography Markup Language, is an XML like format that is defined by the Open Geospatial Consortium (OGC). This type of XML is optimized to express geological features. That makes GML an interchange format for geographic transaction on the internet. The GML format is often used for webservice data calls (API). For geographical purposes we recommend using a GML or a KML. AN XML is a good format language for just data purposes. What software opens a GML? The sixth part contains all the closing tags.